Dr. Stokes joined Northwestern’s social work department after serving as executive director of The Bridge, a transitional housing agency in Orange City. She previously spent seven years as a therapist at Northwestern, including four as co-director of student counseling services. 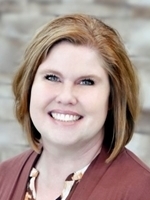 She also has worked as a program supervisor at the Council on Sexual Assault and Domestic Violence and as a social worker at the Crittenton Center in Sioux City. A licensed independent social worker and licensed master social worker, Stokes holds a doctorate in human development and educational psychology. She is the 2012 recipient of the college's Teaching Excellence Award. Dr. Stokes is on sabbatical during the 2017-18 school year, serving as a clinical mental health therapist who specializes in trauma-informed therapy and attachment-based services for children, families and adults. She is also engaging the local Latino community though local advocacy activities and by developing outreach opportunities for Northwestern. Reisetter, M, Schweinle, A, & Stokes, V. (2008, approved with revisions to The Qualitative Report). Elements of Engagement for Successful Learning. Stokes, V., & Schweinle, A. (2007). Sleep and academic functioning. Growth: The Journal of the Association for Christians in Student Development, 7, 27-37. Almond-Reiser, T.M., & Stokes, V. (2007). Texting is changing the social environment of adolescent females. Paper presented at annual meeting of the Mid-West Educational Research Association. October 2007. St. Louis MO. Stokes, V. (2009, July). Community Needs Assessments on Immigration: Issues in a Small Rural Community. Presentation at 34th Annual National Institute on Social Work and Human Services in Rural Areas, Duluth, MN. Stokes, V. (2009, April). One Rural Community’s Needs Assessment on Immigration. Presentation at Iowa Chapter National Association of Social Workers, Des Moines, Iowa. Stokes, V. (2008, March). Domestic Violence and Education: How witnessing trauma influences learning process. Invited presentation for Family Crisis Center’s Empowering in Unity workshop, Sioux Center, Iowa. Stokes, V. (2008, February). Domestic violence: prevalence, dynamics, patterns, and power issues. Invited guest lecturer for Northwestern College psychology students, Orange City, Iowa. NASW IA - Vice President, 2011- 2013, returning again as VP 2014 for three-year term. Service, and Advocacy) of NW Iowa.